From the earliest stone tools to today's super computers, technology has always promised to make our lives easier. Even as it adds complexity to our world, it offers new, simpler ways of accomplishing our daily activities. Now, advances in artificial intelligence (AI) look to take things one step further by using machine learning to drive innovation. Whether you're snapping a selfie to share with friends or capturing one of life's big moments, photo quality is crucial. It used to be the only way to make photos better was to use a better lens. But now AI can also play a role in producing amazing photos. The LG V40 ThinQ features five individual cameras, allowing you to capture more unique images of the moments that matter most. But what sets the V40 ThinQ further apart is the AI-powered camera that recognizes what you're shooting and suggests the best filter. For content creators and anyone else who loves high-quality images, AI is poised to reshape the way we see the world. For example, LG's OLED 4K TVs are now equipped with powerful voice recognition features that allow you to speak naturally when controlling your smart TV for the ultimate viewing experience. With built-in Google Assistant, Amazon Alexa capabilities and LG's ThinQ deep learning AI technology, the voice agent is more intelligent, simpler and easier to use. Whether you're ordering food, searching YouTube or checking the weather, AI is making it easier to access the tools and media we love. Nobody likes calling customer support. But if you have to, you want answers and you want them quickly. Unfortunately, many of us are all too familiar with those robotic messaging services that never seem to understand what you're saying. It can feel like you're talking to a brick wall. But what choice do you have when the only other option is waiting indefinitely for a live representative? Thankfully, those days are now a thing of the past. 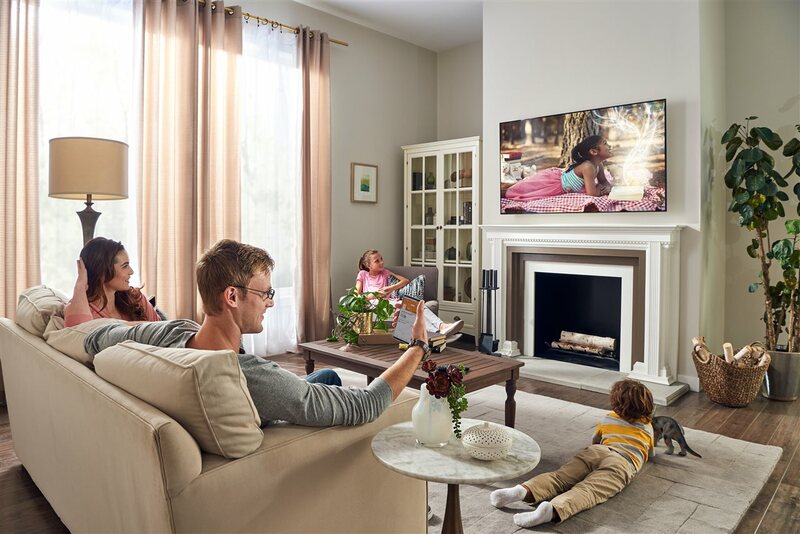 LG's ProActive Customer Care uses AI technology to immediately alert LG smart appliance owners to potential problems before they even occur, expedite repairs when needed and offer useful maintenance tips to keep appliances performing their best. The first-of-its-kind customer support initiative is designed to improve product performance, extend product longevity, solve issues faster and ultimately save LG product owners time and money. In addition to the convenience of immediately receiving product alerts about performance issues, or reminders to order more of your favorite detergent, you can remotely control LG smart appliances via the LG SmartThinQ(R) mobile app or voice commands, using Amazon Alexa and the Google Assistant. Remote access makes it easier and more efficient to handle tasks like starting and stopping LG washers and dryers and telling LG refrigerators to make more ice when you're on the go. For more information on LG's future-made lineup of AI-powered smart devices, please visit LG.com.